I heard a local radio foodie declare that this time of year is the very best for just about everything worth harvesting from our gardens. 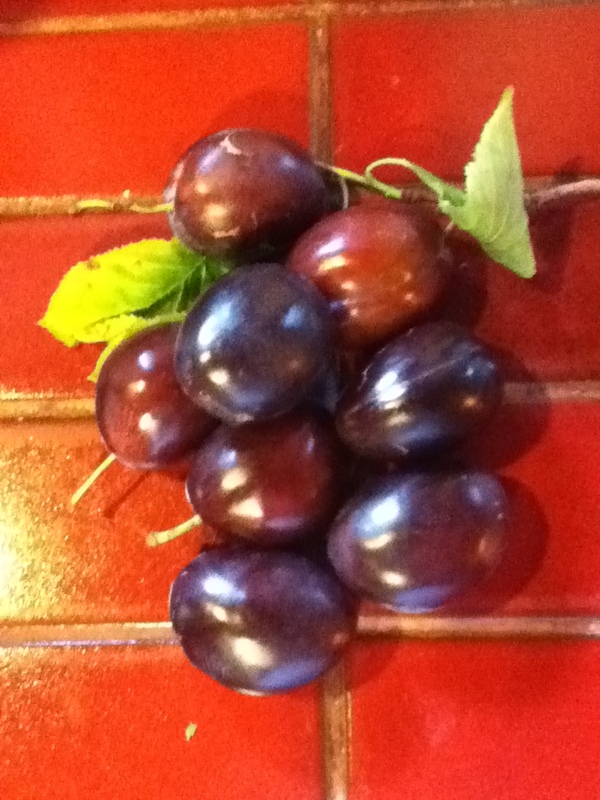 For me, this is the time when the fruit on my Italian plum tree ripens and I start salivating just thinking about my favorite ways to enjoy them. 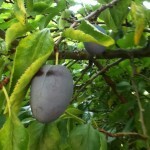 I love picking one or two, covered in their silvery grey cloak, rubbing them on my shirt or pants until they polish up, revealing their amazing deep purple sheen, and then biting through the thin skin into amber flesh for a satisfying mixture of sweet and tart. 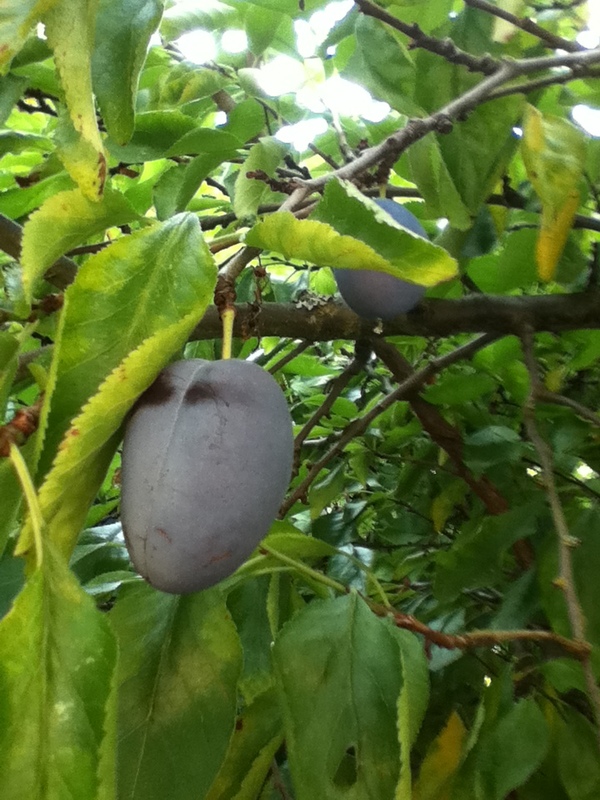 Last year the branches seemed weighted by the fruit. But this year’s harvest is sparse –probably related to our odd weather. I’ll have to reach or climb to find them hiding in their small clusters. All that means is that I will treasure them even more and make small batches of plum chutney, plum butter and of course the Plum Pie I serve at Rosh Hashanah. That recipe first appeared in Joan Nathan’s Jewish Holiday Cookbook and has been in other books of hers. In a large saucepan, mix sugars and vinegar and bring to boil. Add remaining ingredients except plums and cook for a few minutes to soften garlic and onions. Stir in plum halves and simmer until thick. Fill hot, sterilized jars and seal. Mix together, put in a glass baking dish and bake at 300 degrees for about 3 hours, stirring every ½ hour. It is done when it gets thick and you can see the dish when you pass the spoon through it. Fill hot, sterilized jars and seal. This is spectacular with sweet crackers, good Stilton or other veined cheese and a glass of good port.